Religious liberty is one of the most contentious political issues of our time. How should people of faith engage with the public square in a pluralist era? Some citizens hope to reclaim a more Christian vision of national identity, while others resist any religious presence at all. This dispute is not new, and it goes back to the founding era of American history. As the country was being formed, some envisioned a Christian nation where laws would require worship attendance and Sabbath observance. Others advocated for a thoroughly secular society where faith would have no place in public life. But neither extreme won the day, thanks to the unsung efforts of a Connecticut pastor who forged a middle way. 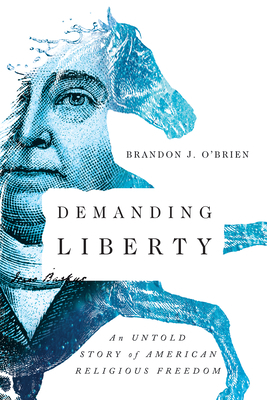 Historian Brandon O'Brien unveils the untold story of how religious liberty came to be. Between the Scylla and Charybdis of theocracy and secularism, Baptist pastor Isaac Backus contended for a third way. He worked to secure religious liberty and freedom of conscience for all Americans, not just for one particular denomination or religious tradition. Backus's theological ideas had social consequences, giving us insights into how people of faith navigate political debates and work for the common good. Backus lived in an age of both religious revival and growing secularism, competing forces much like those at work today. Then and now, people fiercely argue about the role of government and the limits of liberty. The past speaks into the present as we continue to demand liberty and justice for all.